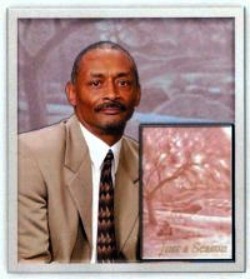 Welcome to the internet home of John T. Wills designed to introduce you to the writer and to promote my many projects. I am an author, speaker, past professor, teacher, publisher, contributor to newspapers and online magazines. Producer of the most dynamic and exciting literary radio show on the air; “The Book Tree Radio Show” created to promote literacy, showcase authors, writers, wordsmiths, and other relevant content to empower the minds of a broad base community. Mr. Wills has earned a Master’s and Bachelor’s Degree in Business Administration. He’s been a professor at Sojourner-Douglass College (HBC), Past Board Member of the Bowie State University Foundation, President of JT Wills Consulting, Past Vice President of the MD/DC Minority Supplier Development Council, one of the founding members of the Black Empowered Men group, author of “Just a Season” and “Legacy – A New Season”, a Journalist by way of the Washington Examiner and a blogging; in addition to being supporter of several community organizations, a volunteer, a strong advocate for literacy empowerment and friend to many. Any accolades attributed to his spirit are the result of the solid foundation provided by a loving grandfather. This great man assertively implanted the concept that knowledge is power, which developed into the understanding that education is the single most important ingredient necessary to neutralize those forces that breed poverty and despair. This philosophy planted the seeds that cultivated a life, which is “Just a Season”. Do you have a story within your soul and would like to share it with the world. Let me be the consultant to make your dream and passion to publish a reality. An option for every budget… Choosing JT Wills Consulting to assist and support your marketing plan will prove to be a great asset to increasing your exposure as well as the perfect complement to your marketing solution. We offer many resources, promotional vehicles, and a large mailing list numbering in the thousands to include a vast network of literary professionals with access to thousands of avid readers, authors, publishers, and literary industry professionals available via our communication vehicles that will enhance your promotional goals. This is include podcasts, blogs, and radio bookings to get you on air interviews.